In a move that surprised everyone (even us! 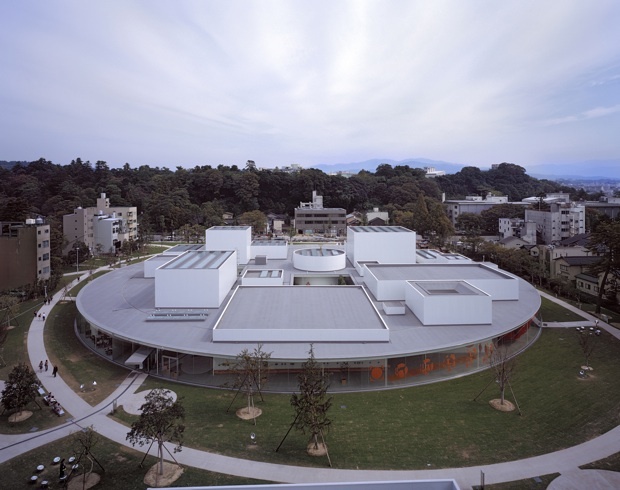 ), the Pritzker committee made history today by naming Ryue Nishizawa and Kazuyo Sejima as recipients of the 2010 Pritzker Architecture Prize. It’s only the second time that the award has gone to a woman, the second time the award has gone to a duo, and the first-ever award for a male-female duo. 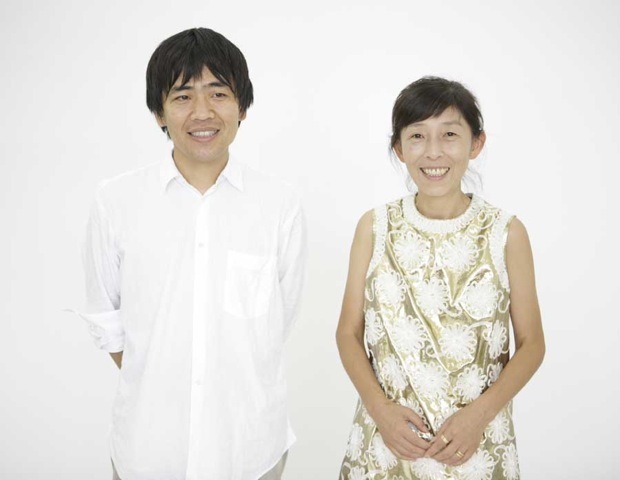 The Japanese Sejima and Nishizawa, who practice under the name SANAA, have worked together since 1995. 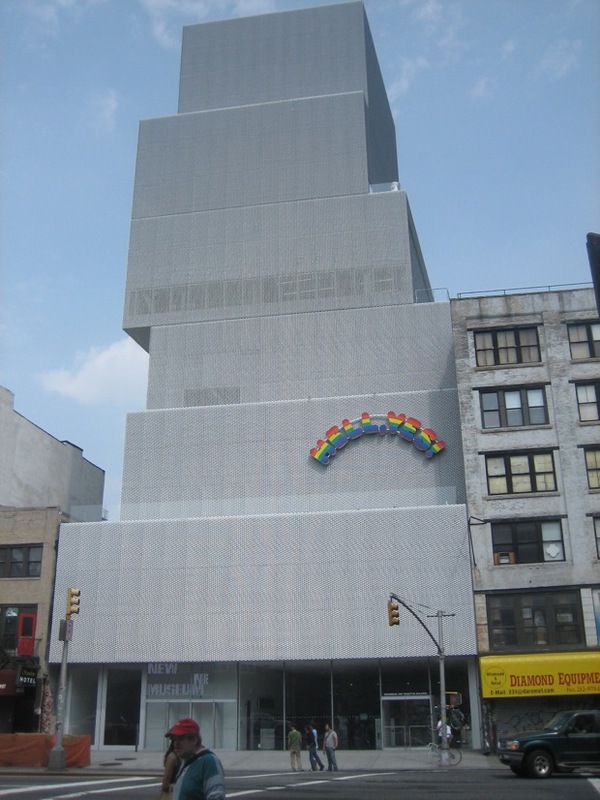 They are probably best known for their New Museum of Contemporary Art building on the Bowery in New York City, a stacked, wire-mesh wrapped sculpture that nodded to its in-transition surroundings. 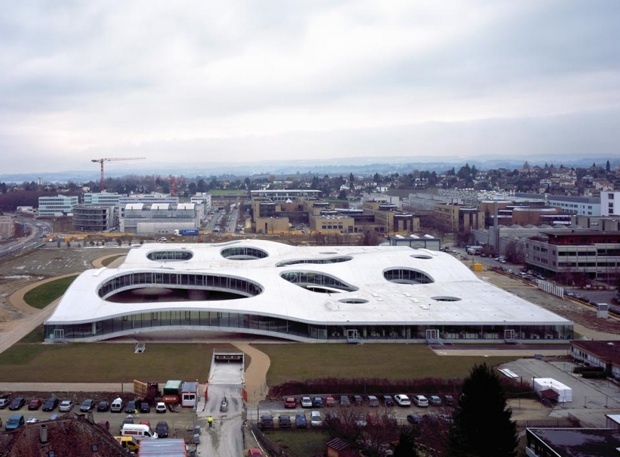 Their biggest major building was just completed in Switzerland, the undulating concrete planes of the Rolex Learning Center which appear to rise naturally out of the site. The Glass Pavilion at the Toledo Museum of Art opened in 2006 and features hundreds of curved glass panels that make up most of the exterior and interior walls. More glass wraps the circular 21st Century Museum of Contemporary Art in Kanazawa, Japan, which has no front or back, making for a truly accessible, public building. 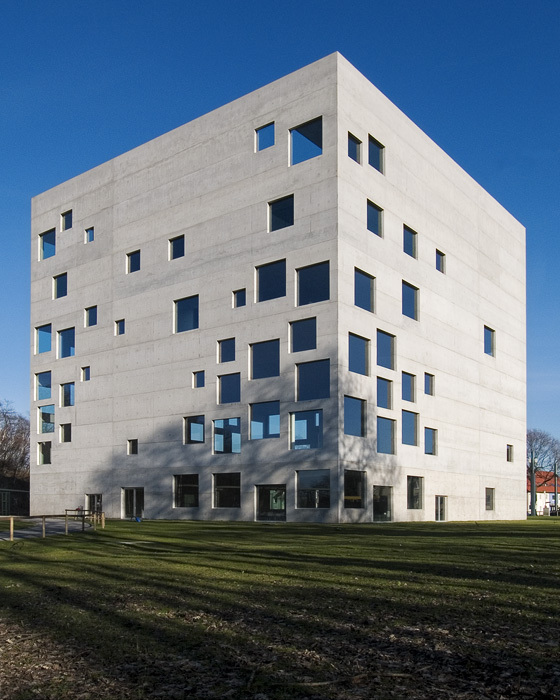 A cube with seemingly-random punched-out windows that flood the interiors with light created a landmark structure for the Zollverein School for Management and Design in Germany. SANAA was also chosen to design the Serpentine Pavilion in 2009, an honor bestowed upon many of their now-fellow Pritzker laureates. A ceremony for the duo will be held on May 17 in New York City where they will receive a $100,000 grant. You can see the official media kit here. Top photo by Takashi Okamoto; Rolex photo by Hisao Suzuki; Glass Pavilion photo by Ralph Lieberman; all photos courtesy SANAA.